Now Larimar features expansive pool areas with and lounge chairs. 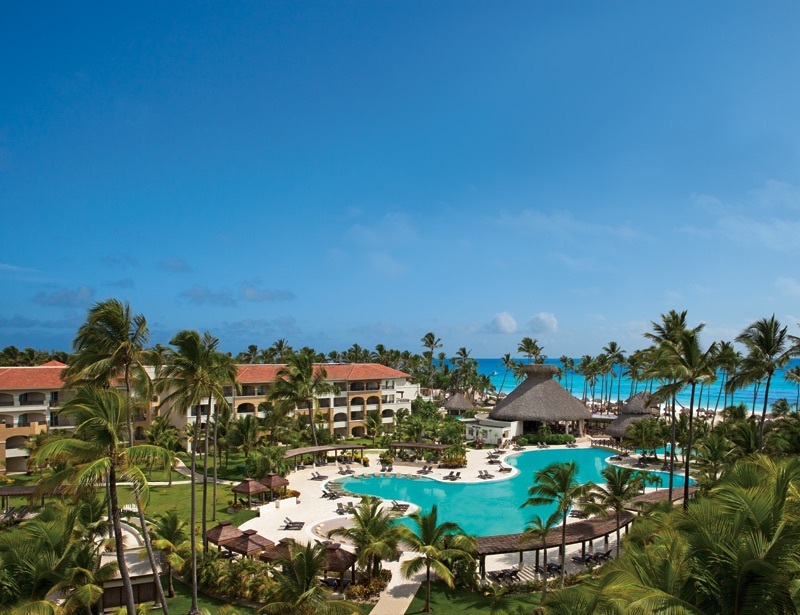 Now Larimar Punta Cana is located on the beach next to Now Garden Punta Cana in the Dominican Republic. Guests can use restaurants and facilities and either resort, but Now Larimar is much larger and has more restaurants and bars. There are 540 rooms and suites at Now Larimar, featuring private balconies or patios with outdoor hydro-tubs, minibars that are refreshed daily, 24-hour room service, and upscale bathroom toiletries. Connecting rooms are available for families and groups, and guests can book Preferred Club rooms for additional perks like an exclusive lounge, two exclusive pools, upgraded minibars, and more. Preferred Club Deluxe Tropical View with King Bed. Dining options at Now Larimar include a buffet, a cafe, a beach grill, and five speciality restaurants. The speciality restaurants serve up Asian, French, and Mexican cuisine, as well as seafood and steaks. Guests can also visit the two Italian restaurants at Now Garden Punta Cana next door. There are seven bars at the resort, ranging from casual pool and beach bars, to sports bars and the Eclipse Night Club. Guests can use three additional bars at Now Garden. Additional activities at Now Larimar include non-motorized water sports, a spa, a casino, nightly entertainment, and clubs for kids and teens. Fly into Punta Cana International Airport, Dominican Republic (PUJ). The resort is about 30 minutes from the airport. Transfers are additional and can be booked privately or through the resort. 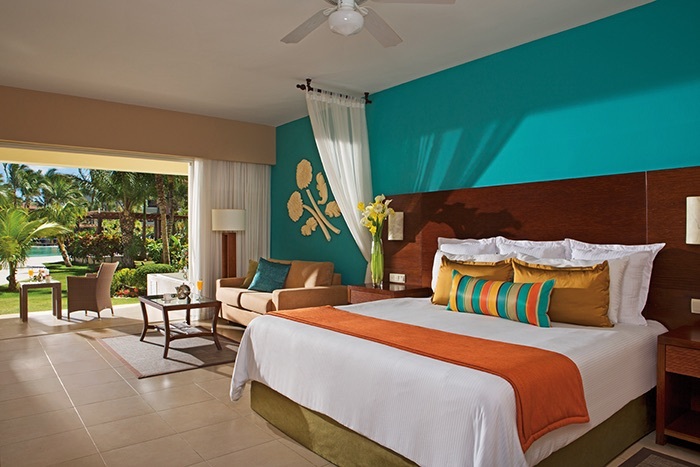 Visit Now Larimar Punta Cana’s website for more information.